State prosecutor instructs police to place a hold on speeding tickets, after traffic cameras found to be faulty. The State prosecutor has instructed the police department not to send out traffic tickets to drivers whose cars were filmed by police roadside cameras driving faster than the speed limit. 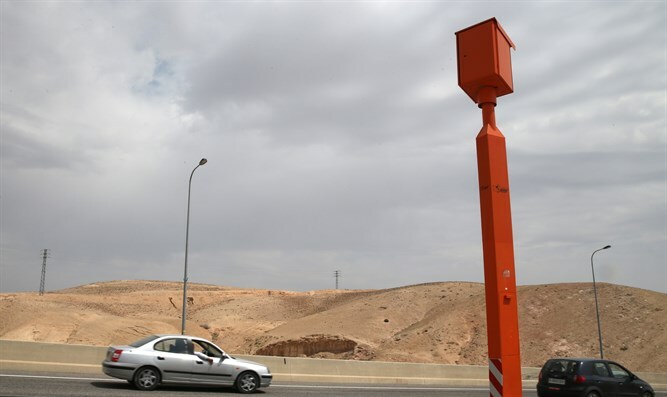 In recent years, police have placed such traffic cameras, typically installed in red metal boxes, at roadsides across the country. According to a report by Channel 2 Sunday evening, the State prosecutor ordered a freeze on traffic tickets issued to drivers accused of exceeding the speed limit on the basis of traffic camera footage after an examination of cameras at the Technion – Israel Institute of Technology revealed that the cameras were unreliable. While the State prosecutor’s office has ordered that the cameras remain in place and continue filming for the time being, no new tickets will be issued until the question of the cameras’ reliability is addressed.